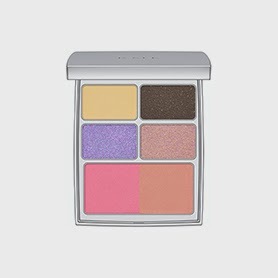 RMK released this Aoyama 5th Anniversary Palette 2014 exclusively at their flagship boutique in Aoyama, Tokyo on 26 March. Retailing at 5500yen, it is composed of eye and cheek shades from the new line-up introduced in May. See swatches here. RMK will release this Refreshing Gel (5000yen, 60g) on 4 July in Japan. It contains bilberry and Eijitsu rose extracts and has a fresh yogurt aroma. Suqqu MUA Tomoko has recommended RMK's new Eyeshadow brush E (2600yen) as a replacement for Suqqu's discontinued and much beloved Eyeshadow S brush. Can't wait for it to launch on Selfridges.com!